Sport is a super flexible WordPress theme designed for Sporting Clubs and Community Centers. A beautifully designed multi-page multipurpose WordPress template, perfect for clubs, community centers, sports and non-profit websites. Sport is clean, minimal, modular and flexible making it amazingly customizable. 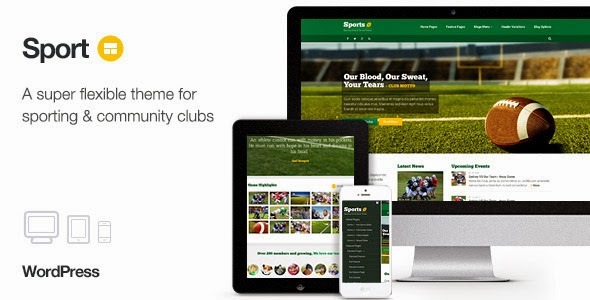 Item Reviewed: Sport Responsive WordPress Club Theme 9 out of 10 based on 10 ratings. 9 user reviews.